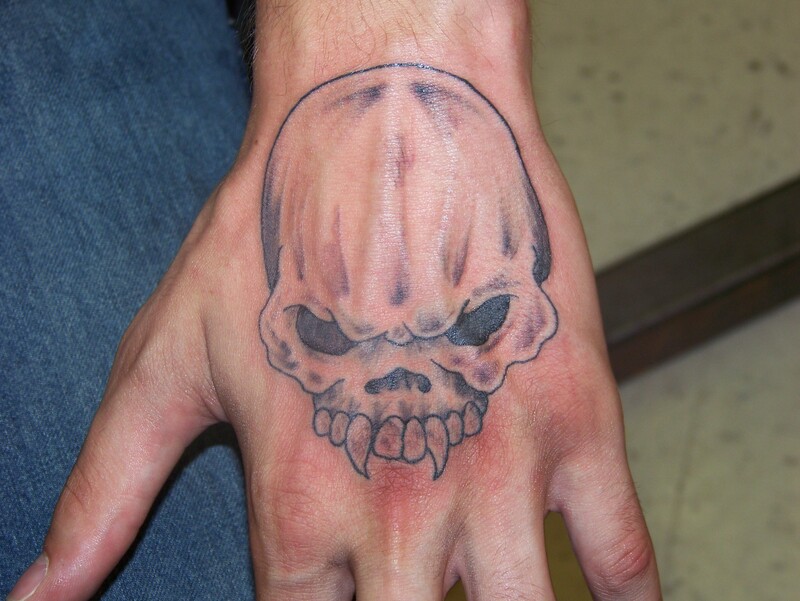 The life of your new tattoo is very dependant upon the care that it receives the first few days. First, keep the tattoo covered with the bandage for at least 3 hours, if not longer or overnight. If the bandage sticks to the tattoo, we recommend moistening the area. This means get in the bath with the bandage on and take a hot shower or bath to loosen the bandage and the adhesive from the tape, please remove the bandage carefully. Also this will allow your pores to open, which will dilute any dried blood or release ink/pigment that will not stay during this process. A fresh tattoo may be tender, with larger/longer tattoo work this process is somewhat painful. Once the tattoo is exposed wash it thoroughly, using your fingertips with liquid antibacterial soap and water. Do not scrub your tattoo but do not faintly caress it, be sure to remove all surface blood and rinse off all remaining soap. Wash your tattoo twice a day (once when you wash yourself) and secondly to remove a build up of dirt, weeping plasma, small debris, etc. Always pat lightly to dry your tattoo, then with clean hands apply a light coat of Tattoo Majik, Witch Hazel, or white A&D ointment only. The idea is to keep your tattoo moist and not greasy. If your tattoo scabs, do not pick, for this will ensure fading or loss of color. The tattoo will develop a dry flaking layer of skin, let the skin fall off naturally, NO PICKING!! When your tattoo starts to itch, place a clean paper towel or paper over the tattoo and GENTLY rub. Do not manipulate the tattoo directly. After the skin has fallen off, there will be a period of adjustment for the new skin to form, sometimes giving the appearance of a faded look. At this time it is advisable to use Witch hazel, or Tattoo Majik for about 10 days after. Everybody is different so we recommend 10 days to 3 weeks to heal your tattoo. The tattoo is your responsibility after you leave the studio. Please feel free to call if you have any question or stop by the shop for any concerns. 1. First, wash your hands thoroughly. Never touch your piercing or jewerly with dirty hands. 3. Apply a generous amount of liquid soap to your hand, and apply to the piercing site and jewerly. Make sure you get the soap everywhere, but rotating the jewelry is not really necessary unless you notice it trying to "stick" to your skin. 5. Dry your piercing with a clean paper towel, and throw the towel away. Many piercers will tell you to rotate your jewelry. This is not wrong, but I have found that in many cases, this causes more problems than it solves. If you want to rotate your jewelry, go right ahead. If it becomes a problem or is painful, try not rotating it for a couple days. Cloth towels, especially those that have been already used, can harbor germs and bacteria. This is why it is safest to use a disposable paper towel. Other one-use products such as gauze, napkins, etc. can also be used. Only sea salt is to be used. Table salt is not acceptable. Sea salt can be found in many grocery stores and almost all health food stores. REMEMBER: Not all aftercare treatments work the same on everybody, if your treatment seems to be irritating your tattoo or piercing, discontinue immediately and call your artist.